It’s amazing how many people have never heard of amaro. Still today, which really surprises me, especially in Toronto, with its huge Italian population. Amaro refers to Italian bitters, which includes Campari and Aperol, among many, many others. Essentially the term is referring to the Italian version of any of Europe’s old, herbal bittersweet liquors. 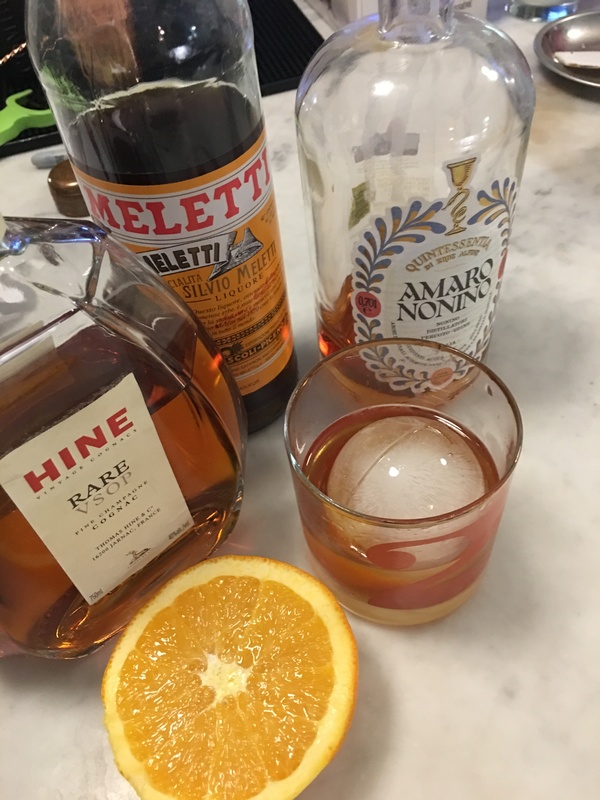 Amaro almost always make any cocktail better. I own many. We’re fortunate in Toronto, as the LCBO tends to stock many Amari. I was recently given the book Amaro, by Brad Parsons. It’s quite incredible from a cocktail perspective, and I highly recommend it to anyone interested in a good drink. Exit Strategy is an evening drink, something with which to finish an excellent night. Your friends won’t be disappointed. Strain into a chilled Old Fashioned with a single large ice cube.